Don’t worry, I’m not suggesting a space alien theory – quite the opposite. As reported on NPR, a new method of dating the paintings in Altamira and some of the other caves painted by prehistoric artists suggests that some of them may have been created before Homo Sapiens arrived in Europe. 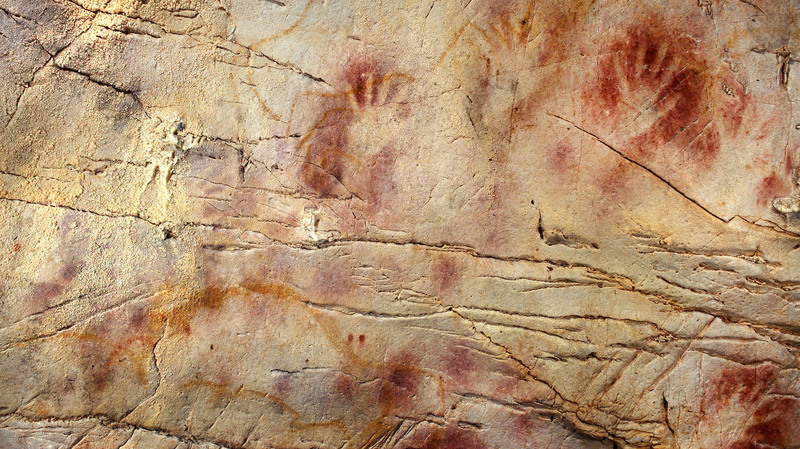 This would mean that Neanderthals, who roamed Europe for at least 200,000 years, were the original artists. Alistair Pike of the University of Bristol says that some Spanish cave paintings are at least 40,800 years old. Humans had just arrived from Africa. Archaeologist, Joao Zilhao of the University of Barcelona, is convinced that some of these works were done by Neanderthals. We know they engaged in symbolic behavior. They made ritual burials, they decorated beads and other implements, and left caches of ground up colored minerals that may have been used for pigments. Though not everyone agrees, these findings and theories appear in the journal, Science. Pike says he and his Spanish colleagues just need to find paintings “a few thousand years older” to prove their point. They’re planning a return to the region to continue their search. Take a look at this and several related articles on the NPR website. It helps put things in perspective for me to realize that we are not the only intelligent species that now walks, or has every walked the earth. This entry was posted in art, History, Science and tagged archaeology, art, cave paintings, history. Bookmark the permalink. I saw this article as well, and you’re right, it really helps to put things into perspective. I was fascinated to read about this. It just proves how little we understand of the history of mankind. Yes, archaeology has always seemed one of the most fascinating scions to me.